Established in 1977, Mayer/Reed is a 27-person Portland, Oregon-based design studio providing landscape architecture, urban design, visual communications and product design services for the environments in which people live, work and play. Our designs emerge from a process that explores the social, cultural, ecological and historic contexts of each place, resulting in spaces that resonate with genuine identity. Kathy Fry serves on the 2019 SEGD Board. She is an Associate Partner at Mayer/Reed in Portland, Ore.
Kathy directs visual communications services in the design of signage, wayfinding, interpretive and branded spaces for civic, recreation, transportation, cultural, healthcare, education, mixed-use and corporate settings. The SEGD Global Design Awards amplifies recognition on a global scale while also celebrating firms who strive to think outside of the box, but did you know that by entering your project in the SEGD Global Design Awards, there is more opportunity for exposure with a one in four chance of being published? 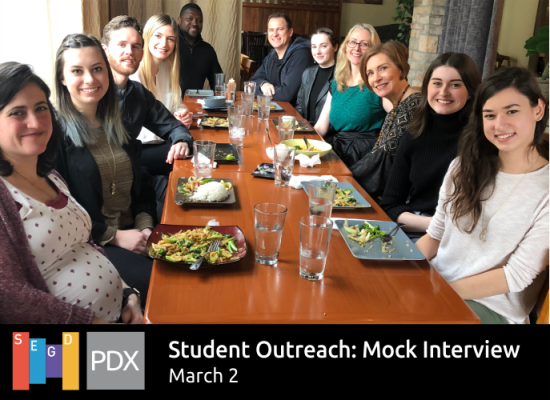 Our first event of 2018 will focus on Student outreach where six students will participate in the interview process. In addition to the mock-interviews and portfolio reviews, the students will be given a tour of the design studio they're visiting as well as being treated for lunch. The design studio's of Mayer/Reed, Anderson Krygier, and Ancona & Associates in Portland, Oregon will be the participating hosts. This year, the Portland multi-disciplinary design firm Mayer/Reed, Inc. is recognizing two anniversaries—a thirtieth and a fortieth. This unusual milestone marks the firm’s establishment by Michael Reed, FSEGD, in 1977 as a visual communications and product design studio; then he formed a partnership ten years later with Carol Mayer-Reed, FASLA, who added landscape architecture and urban design services. Look no further than Paris' Promenade plantée, which was completed in 1993, to see where the trend of converting obsolete railways into beautiful urban green spaces originated. The real urban renewal linear park boom, however, happened in this century.